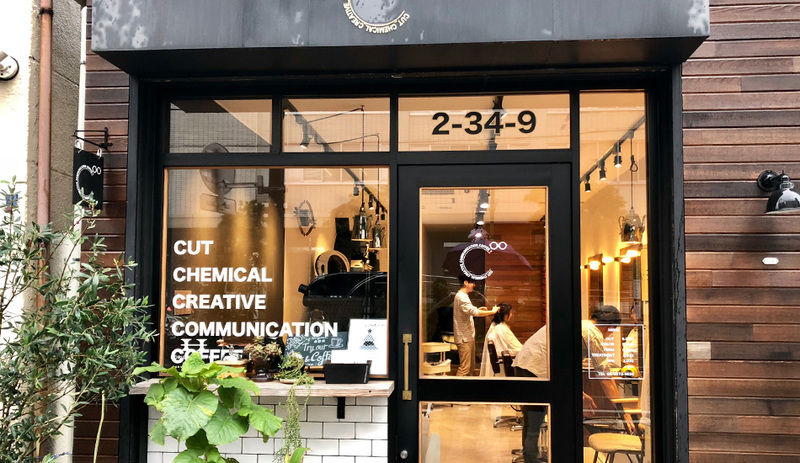 Strolling up Meiji Street from Nishi Ojima towards Kameido one comes across a modern, stylish shop with some intriguing window designs: C∞, cut, chemical, creative, communication, coffee. What could it be? 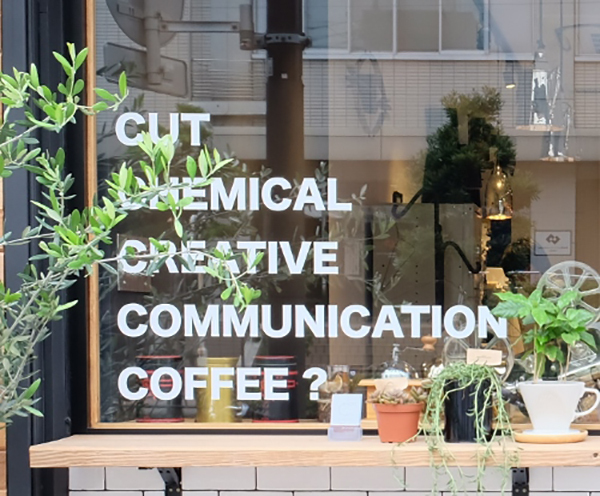 A cafe, an alchemist’s shop, or a meeting place for bohemian artists? Well, almost. 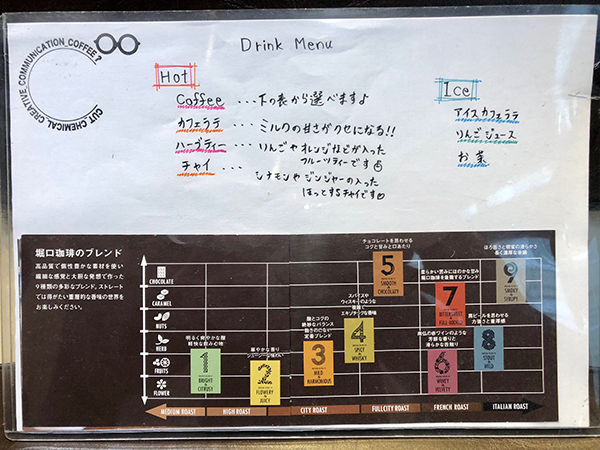 It’s C∞ (pronounced C Infiniti) a hair salon that also serves excellent coffee. 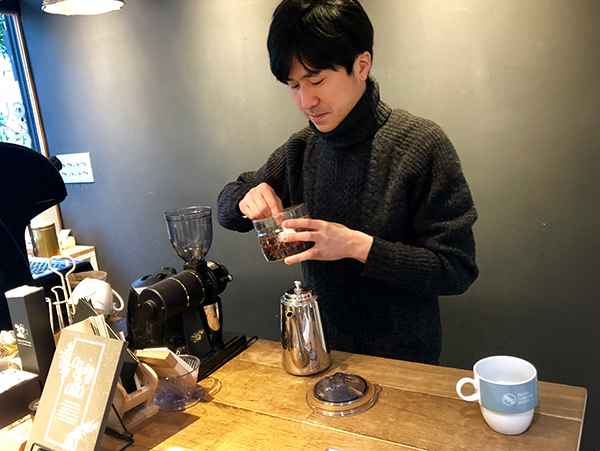 On a recent cold and rainy morning, we dropped in for a chat with the owners, the eloquent and affable Messrs. Kazuno and Ayuba. 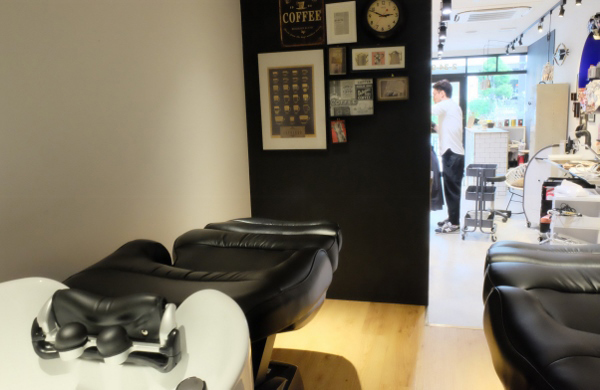 “I really just wanted to cut hair and wasn’t overly bothered about having my own salon. The opportunity arose though, and I was able to open C∞ in February 2016. I didn’t even do any real market research or anything as I already knew the area so well. Mr. Ayuba came on board shortly after that,” said Mr. Kazuno. 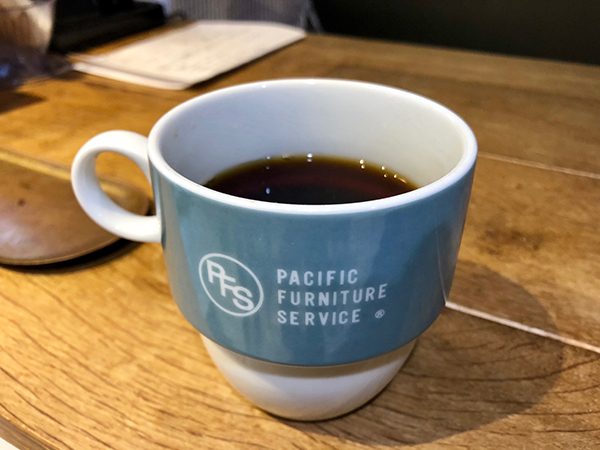 There are nine different coffee blends available, from the bright and citrusy medium roast to the heavyweight Italian roast at the top end. Herb tea, cafe latte, and chai are also served, with iced latte, apple juice or iced tea for those sweltering summer days. 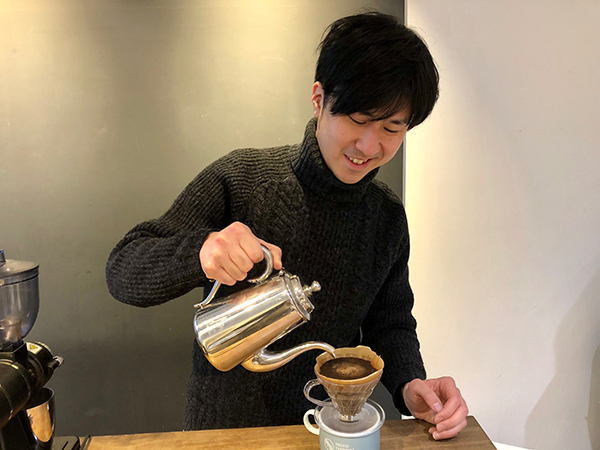 Mr. Ayuba kindly made me a smooth and chocolaty full city roast, which was an absolute treat on a chilly and wet winter morning. No milk or sugar needed, and no bitter aftertaste; it was rich and full-bodied, quite easily the best coffee I’ve had for a long time. Both Mr. Kazuno and Mr. Ayuba are very experienced with the former responsible for an astonishing 2,000 cuts in 2009 alone. 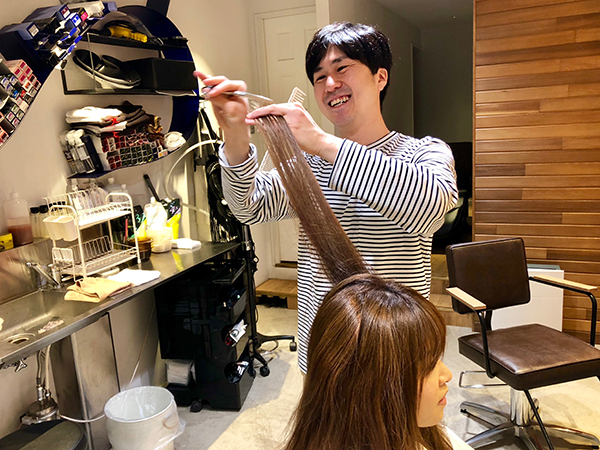 In 2015 he was selected as one of 20 “next generation” stylists in Tokyo and continues to both work and study. 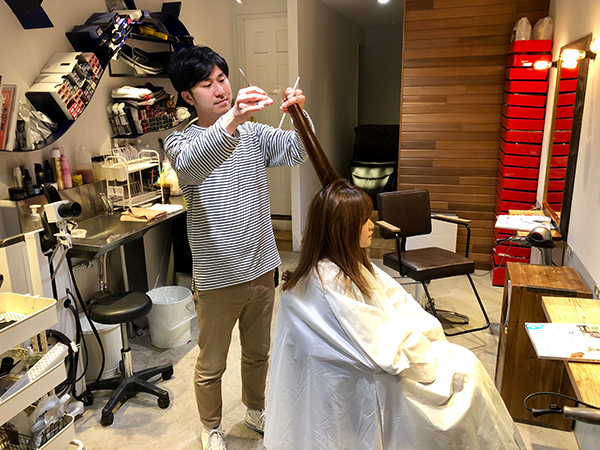 Prices are very reasonable, beginning at 5,500 yen for a cut, a perm or a colouring. C∞ offers the Oggiotto range of treatments and the very popular Oggiotto head spa. The regular head spa is 3,000 yen or 11,000 yen with the “Drs” series of scalp serums, cleansers and masks. 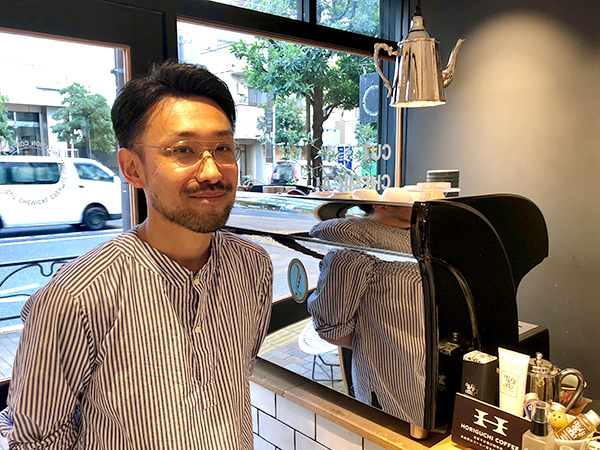 So popular is the head spa service that the new C∞ salon, which will open further along Meiji Street in January 2019, will feature treatments and spas as the main attraction, with cuts and colouring as options, in a complete reversal of the usual salon style. There will also be a coffee stand, where anyone can pick up a tasty cup of the brown nectar to drink in or take away. 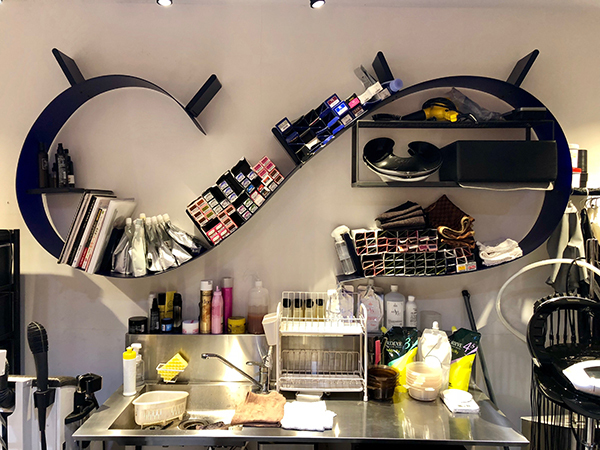 As one very satisfied customer said, “After many years of perms, treatments and dyeing my hair had lost its shape and lustre, yet after becoming a regular at C∞ it has recovered completely. 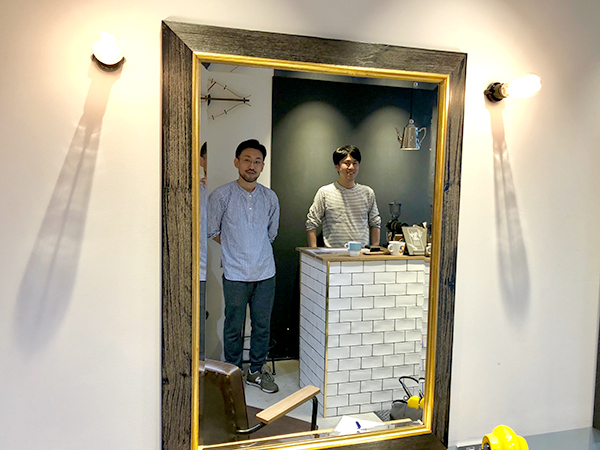 Mr. Kazuno and Mr. Ayuba really are hair doctors!”. Why not let the doctor take a look at your hair?